The safety of the men and women in workzones is a major concern of transportation officials, the construction industry, and the public. More than 1,200 traffic fatalities occur every year in work zones. Drivers that fail to observe lower work zone speed limits put workers and themselves at grave risk. Work zone speed cameras can help. Slowing traffic and improving safety in work zones is a key concern for local, state, and national highway departments. Unlike streets or highways that require continuous speed control, work zones involve temporary, and sometimes significant, speed reductions. Compliance to speed laws prior to and within work zones is even more crucial than on ordinary roads. With space constraints, bulky construction vehicles, and busy workers, traditional law enforcement is often impossible. Enforcement Logix offers a variety of speed camera solutions that are responsive to the work zone environment. Speed cameras offer an efficient solution to speeding in work zones. Drivers learn the importance of reducing their speeds or are penalized for failing to do so. The Guardian speed camera system offers single lane photo enforcement and is used in conjunction with SafePace speed display signs so that drivers are aware of posted speed limits and alerted to their speeds. 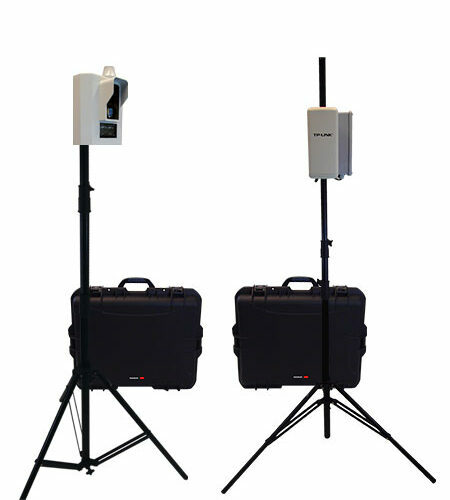 The Enforcer system offers mobile or fixed camera solutions for temporary or permanent work zones. With the Interceptor system, on-site enforcement is coupled with speed enforcement for on-the-spot warnings or ticketing. Speeding drivers put themselves and everyone else on the road at risk. Protect your roads by enforcing speed limits with state-of-the-art speed cameras.